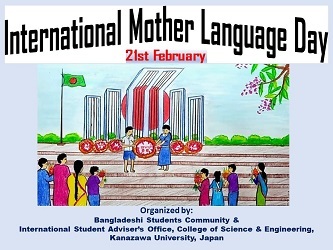 February 21st is "International Mother Language Day" proclaimed by UNESCO. It originated in Bengali language rights movement against Pakistan government in Dhaka on February 21st, 1952. 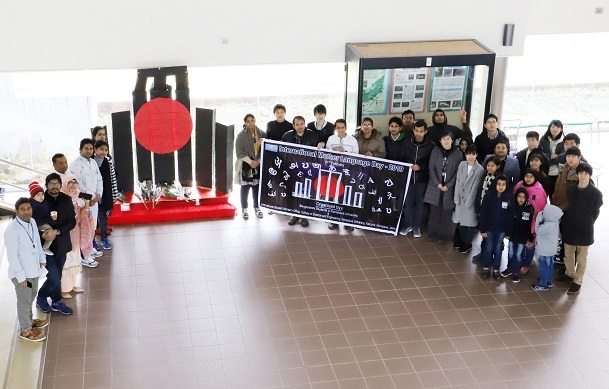 To promote awareness of mother language and respect for linguistic and cultural diversity, an event to celebrate the International Mother Language Day took place in Kanazawa University for the first time. 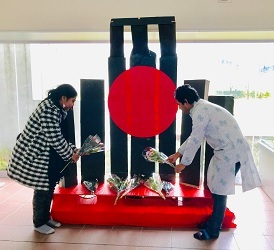 The monument to students who died in resistance exercise was reproduced by Bangladeshi students in NST Academic Hall and a song and flowers were offered. There were the projection of a short movie and distribution of a leaflet for students and staff from Japan or other countries to know the history and significance of the day.